This collection gives you a great way to store some of your favorite items! With a variety of designs to choose from, you'll be able to pick the best fit for you home or office. 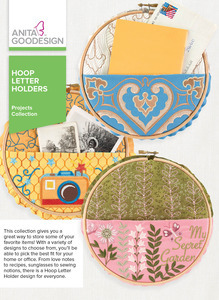 From love notes to recipes, sunglasses to sewing notions, there is a Hoop Letter Holder design for everyone.